Elena Gerli has spent her entire legal career representing public entities. Her areas of expertise include zoning and land use, CEQA, ordinance drafting, general plan amendments, constitutional law, contract negotiation and drafting, marijuana regulation and control, fair housing and group home regulation, and guiding local governments through complex quality of life issues. Ms. Gerli regularly assists the firm’s client cities on various day-to-day needs including legal research and drafting of legal opinions; preparation of staff reports; advising planning and public works departments; document review and preparation; and contract drafting and negotiations. Ms. Gerli also advises her municipal clients regarding the Political Reform Act (conflicts of interest), Brown Act (public meeting laws), Public Records Act, elections laws, revenue measures and Proposition 218. Ms. Gerli has extensive litigation and enforcement experience. In enforcement, she has worked with code enforcement and police departments, and the judicial system, to ensure compliance with local municipal codes. Her experience includes criminal and civil remedies, including abatement warrants, injunctions, and receiverships. Her civil litigation experience includes public nuisance abatement, writs and appeals, and litigating constitutional rights and fair housing claims in both State and Federal courts. Ms. Gerli is a First Amendment expert, having drafted a number of sign codes (before and after Reed v. Town of Gilbert), and addressed a variety of free speech and RLUIPA issues faced by city clients, such as rules relating to picketing, special events, and demonstrations, billboard regulations, commercial speech regulations, donations boxes, and informational kiosks in the public right-of-way, and many other issues. Ms. Gerli also has expertise in the regulation of group homes, including the complex state and federal housing laws affecting such regulation, Natural Community Conservation Plans/Habitat Conservation Plans, and the use of Community Development Block Grant funds and other state and federal grant funds, and the property use restrictions that such grants may require. Currently, Ms. Gerli is Assistant City Attorney for the City of Rancho Palos Verdes, the City of Bell, and the City of La Cañada Flintridge, and provides First Amendment special counsel services for the City of Culver City. 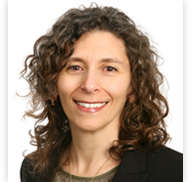 Ms. Gerli obtained her JD from the UCLA School of Law in 2003. Ms. Gerli obtained her undergraduate degree from Brown University in 1990, for which she is an active alumni leader. Currently Ms. Gerli serves as Chair of the Diversity and Inclusion Committee, Association of Class Leaders, for Brown University alumni.